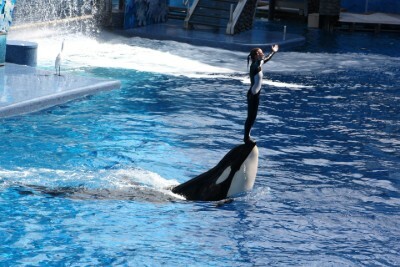 Orlando, Florida, is home to more than a dozen theme parks. If you’ve ever been there, you’ve probably at least visited Disney World and Universal Orlando Resort. Maybe you played a round of golf under the sunlit palm trees, or perhaps you hit the beach when you realized the ocean’s only an hour away. But there’s so much more to Orlando than Mickey Mouse, sunshine, and scream-inducing thrill rides. Four local pastors reveal what they love about Orlando and offer their recommendations for what to do and where to eat—in conjunction with Church of God Convention 2019 & General Assembly, of course! Ken Love has served as the pastor of GraceRiver Church for twelve years, as long as he’s lived in Florida. He’s also the state pastor for Florida Church of God Ministries. Whitfield Blenman has served as the pastor of Solid Rock Church of God, a position he’s held for twenty-one years with retirement now in view, in neighboring Kissimmee. Vinny Korb has served as the pastor of Friends Community Church in Orlando for four years, though he’s been serving there for nine, and living in Orlando for almost three decades. Keith Wilkins has lived in Florida twenty years; the same length of time as the pastor of Crossings Community Church in nearby Sanford. Each one can’t help but point out that the climate and variety of things to do certainly aren’t drawbacks for doing ministry in the Sunshine State! Who can argue? Convention 2019 & General Assembly really is a destination experience this year. Ken and Keith each cite the wide variety of things to do. But with Disney capturing the attention of most out-of-towners, what are some of the other, perhaps better-kept-secrets, of the Orlando area? Vinny’s family loves Legoland, too, but maybe not for the reason you’d guess. They have a water park, too, and, reportedly, it is top-notch. “I am fan of water parks, in general,” Vinny responds. 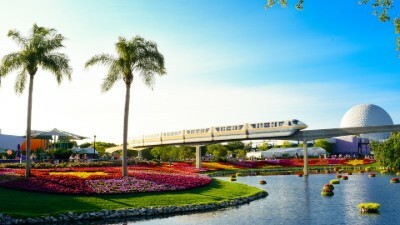 Sunshine, palm trees, water, theme parks + much more = Orlando! 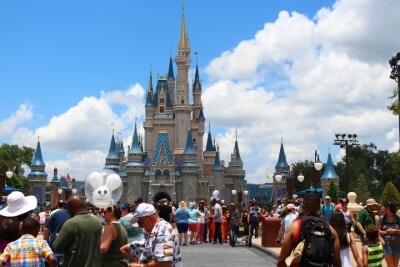 So, yes, Orlando is home to Disney World, Universal, Legoland, and numerous other attractions. But now Orlando is also home to Church of God Convention 2019 & General Assembly. And that’s no small deal, no matter how it may seem to the world. When asked what makes these pastors most excited about knowing that the Convention is coming to their backyard, they each had something uniquely exciting to share. “Easy access for many people from the area and for those traveling great distances,” Ken responds. “The greater presence and witness of the Church of God in the Orlando area,” Whitfield Blenman adds. Learn more about Convention 2019 & General Assembly (June 27–30), and register, at www.chogconvention.org. This entry was posted in Church of God Convention, Southeast and tagged activities, CHOG Convention 2019, Church of God Convention, Convention 2019 & General Assembly, Convention 2019 and General Assembly, Disney World, eat, events, FL, Florida, Florida Church of God Ministries, Florida Ministries, food, International Convention, Keith Wilkins, Ken Love, local pastors, locals, NAC, North American Convention, Orlando, places to go, recommendations, restaurants, suggestions, sunshine, things to do, Universal Studios, vacation, Vinny Korb, Whitfield Blenman. Bookmark the permalink.